This was our first trip to Gorumna Island, but hopefully it won't be our last. The topography of the island is quite stunning. The main feature is the granite pavement covering most of the island interspersed with huge glacial erratic boulders. 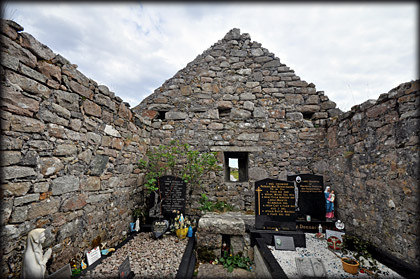 With the seemingly endless supply of building material I am surprised there were only two stone churches on the island from the medieval period. The largest, Maumeen Abbey. 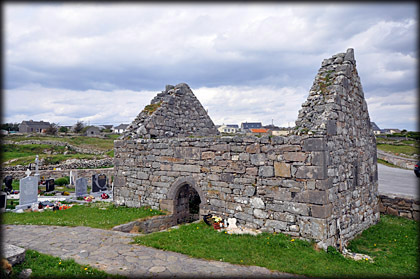 is located to the west of the island and Trawbaun church is situated in the south east. 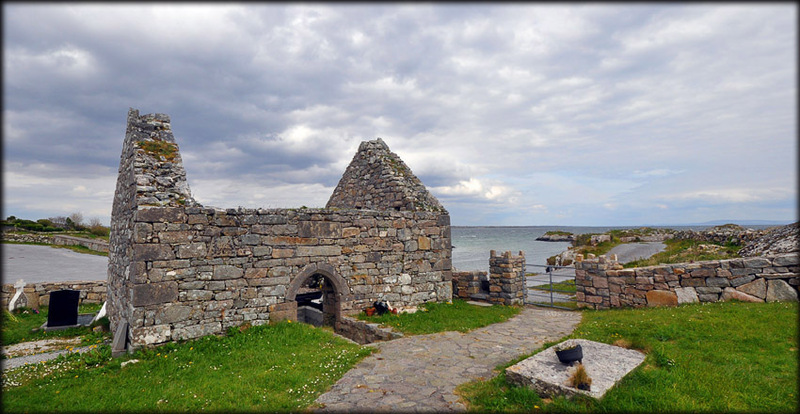 This beautiful stone church is located at An Trá Bhán on the shore of Greatman's Bay, an ideal place for a picnic. In the centre of the south wall is a pointed doorway and a simple window is located in the eastern gable. 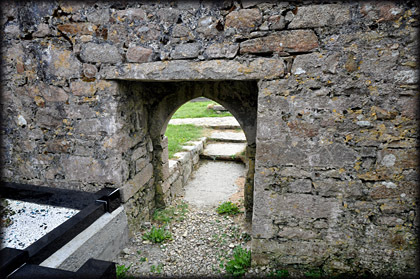 There are steps leading down into the doorway of the church, which may suggest the ground level in the graveyard has been raised over time. Inside the church there is a stone altar below the eastern window. We would love to spend more time exploring Gorumna and the surrounding four islands, all conjoined by bridges, plus a stop at Maumeen Abbey. I feel another visit coming up soon. Situated: From Galway take the R336 west. Then 27K turn right staying on the R366. Then 6k turn left onto the R343. Then right onto R 374. Do not miss this turn. Follow signs for Connemara isles golf club, then drive across the islands of Annaghvaan and Lettermore. Trawbaun is 4.5 miles south of Lettermore Bridge. Discovery Map 44: L 8977 2181. Last visit May 2012.